NEW YORK/BOSTON (Reuters) - The FBI is probing Herbalife Ltd, the nutrition and weight loss company that hedge fund manager William Ackman has called a pyramid scheme, sources familiar with the investigation said on Friday. The news, first reported by the Financial Times, sparked a sharp sell-off that sent the stock price down nearly 14 percent. One source briefed on the matter said that the investigation has been going on for some time, but declined to give further details. A spokesman for the Federal Bureau of Investigation in Boston declined to confirm or deny the investigation. So far no charges have been filed in the matter. 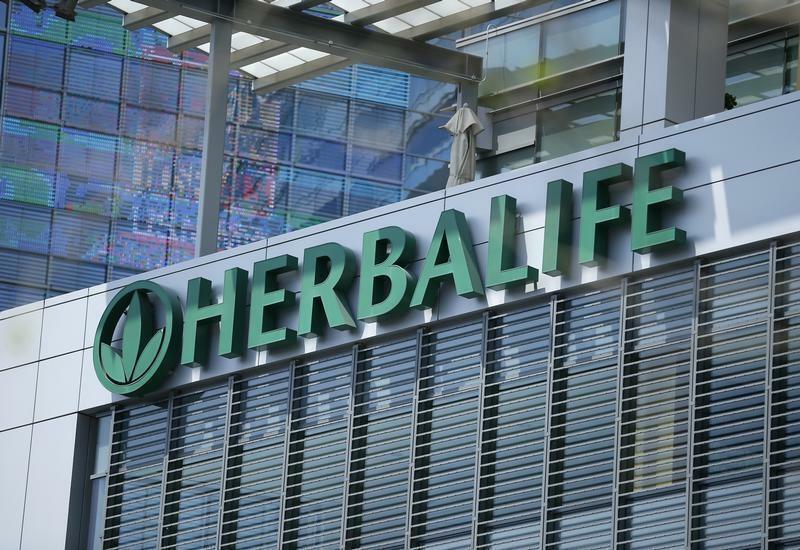 Former Herbalife distributors reached by Reuters said they had been contacted by agents who were interested in finding out more about the multilevel marketing company's business practices, including how it recruits new members into its distribution scheme. FBI agents are also reviewing Herbalife documents obtained from former distributors, two other sources familiar with the matter said. Herbalife said on Friday that the company has not received any inquiries from the FBI or the Justice Department about any investigation. But it would not be unusual for law enforcement to investigate a company without telling executives about it. The company has steadfastly denied running a pyramid scheme, where distributors earn more money for recruiting new members into the scheme than they do by selling products to consumers. News of the FBI probe comes roughly a month after Herbalife confirmed that the Federal Trade Commission had issued a civil investigative demand to the company to look more closely at how it works. In January, U.S. Senator Edward Markey called on the FTC and the Securities and Exchange Commission to investigate the company, in part because of allegations from civil rights groups that Herbalife unfairly targets minorities. Herbalife denies this. The company, which reported sales of $4.8 billion last year, employs a vast network of independent distributors who sell its powders and shakes in more than 80 countries, including China, the company's fastest growing market. For months Herbalife has been a battleground for heavy-hitting investors. Ackman, who runs $13 billion hedge fund Pershing Square Capital Management from New York, first called the company a fraud in December 2012 when he unveiled a $1 billion short position against the company. Since then, billionaire investors Carl Icahn, George Soros, Daniel Loeb and William Stiritz have taken the other side of the bet, helping push the stock price up 138 percent last year. Their involvement has comforted other investors that Herbalife will eventually get a clean bill of health, one investor said. Icahn, Herbalife's biggest shareholder, last month scored three additional board seats, paving the way for the billionaire investor to control a total of five seats. But Ackman is sticking by his forecast that the company's share price will eventually fall to zero after regulators start looking at the company more closely. His firm declined to comment on Friday. Pershing Square has published dossiers about Herbalife's top distributors, charging they lure in new recruits with videos featuring big houses and expensive cars even though company statistics show that the majority of distributors never earn any income from Herbalife. Michael Araujo, a Massachusetts resident who tried to set up his own Herbalife distribution business for a year after having been laid off by Bank of America, said his family lost roughly $85,000 on the scheme. He said he spent about $4,000 a month buying business leads and purchased $7,000 worth of Herbalife products. "They target people who are desperate," Araujo said in a telephone interview, about the company's sales tactics. Meanwhile Tish Rochin, a distributor in Texas who went from driving a truck to saying she became a millionaire thanks to Herbalife, said it is "simple but hard work" to become wealthy by selling the company's products. This year Herbalife's stock price has tumbled 34.6 percent, kicked lower first by news that Senator Markey was involving himself. Last month news that the FTC opened an investigation hastened the fall. On Friday, the company's stock price closed at $51.48.